I wasn’t going to write this. I was going to let this cook slow and long, over an open fire — the way it was supposed to be prepared. 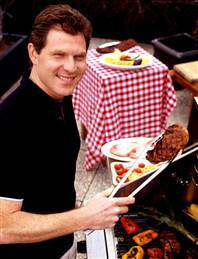 One day this summer, or maybe even in early fall, something would happen, and I would break out the sports spatula, take the tongs, and serve this up. Boy would meet grill, and fake trade proposal would meet world: swap Chris Paul for Kyrie Irving. Stupid, right? Why would the Clippers part with their best player? Why would the Cavaliers deal a young star they had invested so much time and money in? Why would L.A. want an injury-prone, shoot-first point guard when it has the best facilitator in basketball? Why would Cleveland swap a 23-year-old it has under contract until 2020 for a 30-year-old who can bolt in 2017? Why would Paul start over in Cleveland when being in Los Angeles has helped his national profile explode? Why would Irving not want to share the court with the best player alive, in a weak conference, for an owner who’s going championship-or-bust? This is stupid, right? Then I saw Chris Paul riding a banana boat. And I knew what I had to do. Look at this life-jacket-wearing, DeAndre-ignoring, life-loving point guard. 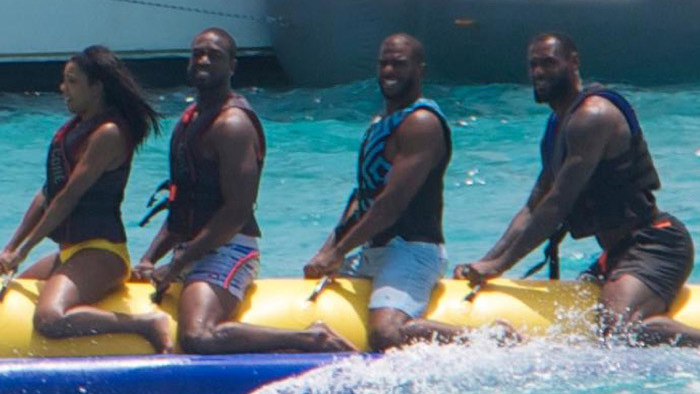 He’s having the time of his life with Gabrielle Union, Dwyane Wade, and LeBron James off the side of a $29 million yacht. This was a sign. Walk with me. The Cavaliers got within two games of an NBA title with Matthew Dellavedova running the point. If Irving returns to full strength from his knee injury, there’s no reason to think they can’t return there. This is the Eastern Conference we’re talking about. Who’s going to stop them? So consider the State Farm pitchman as the ultimate insurance policy. Paul would be the steady hand the Cavs need to guide them through another run. Coming off a first-team NBA All-Defense season, he would be a huge upgrade over the turnstile D of Irving. He could take on some of LeBron’s head-coaching floor-general responsibilities and make sure that Kevin Love is getting the ball in the right place at the right time. You can say a lot of things about Chris Paul — serial nut-puncher, depriver of high-fives — but he’s never selfish on the court, almost to a fault. Look who’s making a sequel to Sideways! LeBron has always been a big chemistry guy, and it looks like Paul knows how to fit in … at the tasting table. OK, I’m done with the wine stuff. Paul has seen his star rise in Los Angeles, but playing for a championship still seems out of his reach. The Clippers have two of the best 10 players in the game, but because of the way they’ve been constructed, it’s hard to imagine them beating Golden State, San Antonio, a healthy Oklahoma City, and even Houston or Memphis come playoff time. They just don’t have the horses. If you’ve ever looked at Paul’s face at the end of a playoff series loss, you know the only thing this guy wants in life is a ring. To do that, he might need to look east. Cleveland is a largely veteran team, built to win right now. Dan Gilbert and David Griffin are trying to kill a curse with a checkbook. When LeBron returned to the Cavs, he told Lee Jenkins at Sports Illustrated that it would be a “long process,” that he didn’t expect to win a championship right away. That may have been true at the time, but this certainly looks like a franchise that is going all in. It is going to smash the luxury tax, even without possibly adding the very expensive Joe Johnson. This is a team built to win in the next season or two. Gilbert can spend all the money he wants without guaranteeing Cleveland a trophy. But LeBron and Paul just might be able to. Trading Paul for a younger All-Star point guard like Irving is the kind of soft reset this franchise probably needs. It would get a young superstar in the making to pair with Griffin for the next few years, and the clock would get dialed back just a bit. Suddenly the Clippers would go from a team that saw the window shut in their face to one that’s just creaking the window open. You’re never going to get a fair return on a player like Paul (just ask New Orleans), but Irving is close. And who knows — under Rivers, Irving might find another gear to his game. Such a trade would also solve a problem Irving might not know he has. Irving went through the full gamut of LeBron emotions last season. He was an outcast, a wingman, and, in the Finals, a bystander. Cleveland was supposed to be his team, and when the Cavs drafted Andrew Wiggins last June, it looked like they might have finally hit on a draft pick to be his sidekick. The whole thing was turning in the right direction. Then, LeBron and the Heatles roadies (Mike Miller, James Jones) showed up, and soon Iman Shumpert, Timofey Mozgov, and J.R. Smith arrived. That meant a lot of wins, but it also meant Irving had to adjust to a little less spotlight. And sometimes it looked like he missed it. 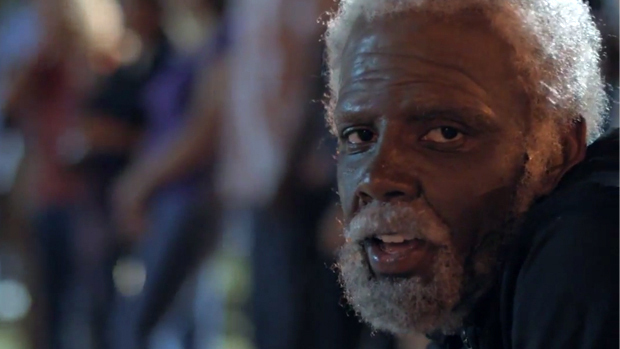 A move to L.A. would put Irving back in that glare. He would benefit from the increased media exposure that comes with playing in a bigger market, just like Paul did (farewell, Cliff Paul; hello, Uncle Drew). He would get to play for one of the league’s most respected coaches, in a city that loves its basketball superstars, alongside a guy in Griffin who has shown, at times, the potential to join the elite LeBron-Durant tier. Griffin and Irving could make their own way, without the pressure of pleasing a veteran with his own timetable for winning. It’s very hard to talk a guy out of playing for a championship with LeBron, and Irving has definitely sounded like the postseason was a road-to-Damascus moment: He wants that ring in Cleveland. BUT! If you were going to be shipped out of that situation, Los Angeles/Blake Griffin/Doc Rivers is a pretty soft landing spot. Pour yourself a glass of wine, and banana boat around the rivers of my mind. I’m just throwing it out there.